The biggest event of the design year, Milan’s Salone Del Mobile festival saw the city once again taken over by the interiors industry. The streets were packed with the biggest names in furniture and architecture, exhibiting alongside up-and-coming names that are new on the scene. Our own in-house design team were out scouring the studios and showrooms for the hottest trends on show, dissecting the wealth of ideas to select six key trends that we are confident will be driving the look of our interiors over the next 18 months and beyond. These diverse trends will be filtering through many aspects of interior design, with the overall drive being towards a warmer, tactile and soothing look and feel for our homes. Soft, subtle colours – ones that are easy on the eye and the psyche - were in evidence everywhere, suggesting a desire for soothing interior elements as an escape from stressful lives. 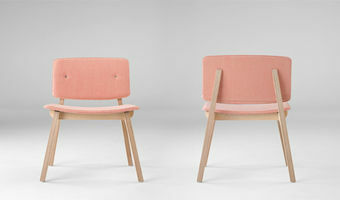 The core colour was a skin-tone pink, evoking the sense of touch and inviting an emotional connection. 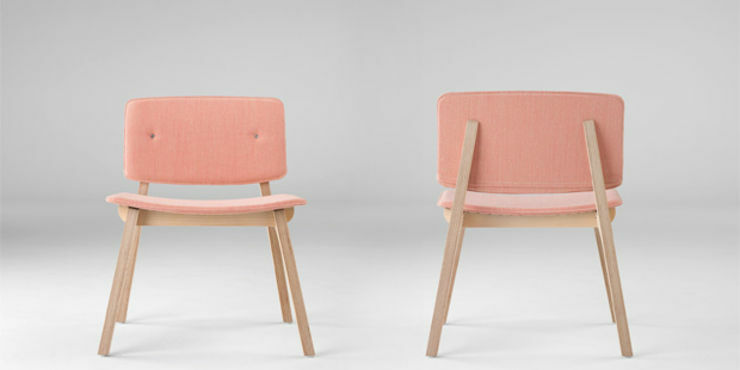 We saw this combined with organic, unbleached wood and tactile brass and copper. Once considered a rather retro, ostentatious material, marble continues its comeback as the luxury accent of choice. 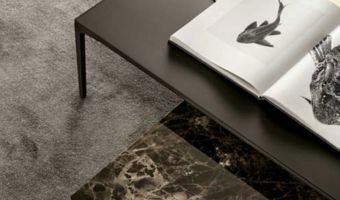 This year we saw marble used on everything from chairs to bookcases, with warmer, mottled versions more popular than harsh white. Marble was combined with slick materials like plastic as well as organic, sensual wood and metal, again with warm colour tones to the fore. Once seen as cold, hard and industrial, metal finishes in warm tones continued to provide an air of luxury and light to many pieces shown this year. 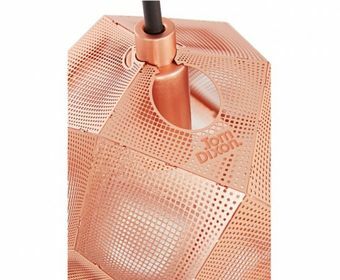 Copper, brass and bronze featured in numerous designs across all design disciplines, but the rose gold was the finish of choice, adding glamour when combined with materials like exotic wood, leather and velvet. Star of the show was Knoll’s iconic Platner arm chair, created in 18 karat gold and blue velvet to celebrate its 50th anniversary. At the Eurocucina dedicated kitchen exhibition at Salone the kitchens were hard to find! 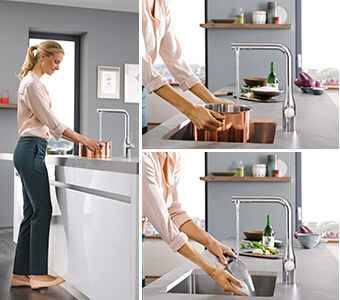 Many companies displayed kitchens that hid their workings when not in use – cooker hoods that retract into the wall, sliding covers for hobs, and even a worktop insert to cover the sink. In addition, large sliding door sections were used to close off the whole kitchen, turning it into an object of furniture or sculpture. The trend points both to our increased desire for a clear, uncluttered environment, and the need for open-plan living spaces to conceal multiple functions. Technology and tradition collided to present new ways of working with wood this year. 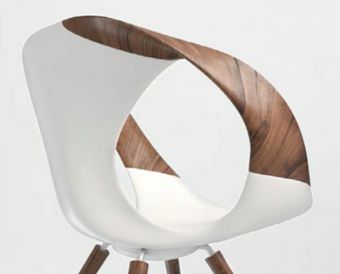 Modern production and processing techniques have created an explosion in fluid, sensual forms for wood furniture, where curved lines and surfaces both highlight the natural grain of the wood and also invite the user to make physical contact with this enduring material. This is enhanced by the combining of wood with other tactile materials like leather and moulded plastic. Design for children is emerging as one of the hot trends as designers and brands cotton on to the vast potential of the kids' furniture market. 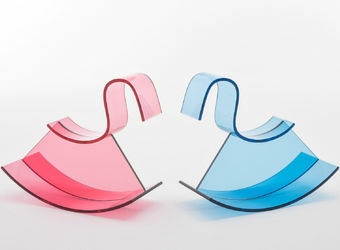 Among those to spot a gap in the market was Italian brand Kartell, which launched an entire new range of products for younger users. In most cases brands are approaching the objects as adult’s furniture for the reason that you do not have to clutter your house with objects that do not fit into the environment.